The Pure Classic is our signature pickup for nylon string acoustic guitars. 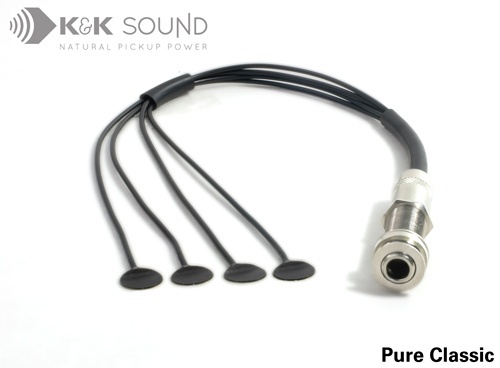 The Pure Classic is a 4-head, bridge plate transducer. Bridge plate transducers are the optimal choice for achieving a rich, natural guitar sound. The Pure's position on the bridge plate provides the perfect balance of sound, picking up all the strings without sounding harsh or percussive and "listening" to the sound board to amplify the unique characteristics of your guitar. 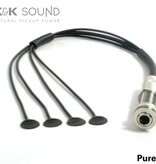 The result is a warm, full-range signal that sounds great even without a preamp!